Born in Bombay in 1954 the Indian sculptor has lived in London since the early 70's where he studied at the Hornsey College of Art and Chelsea School of Art Design. 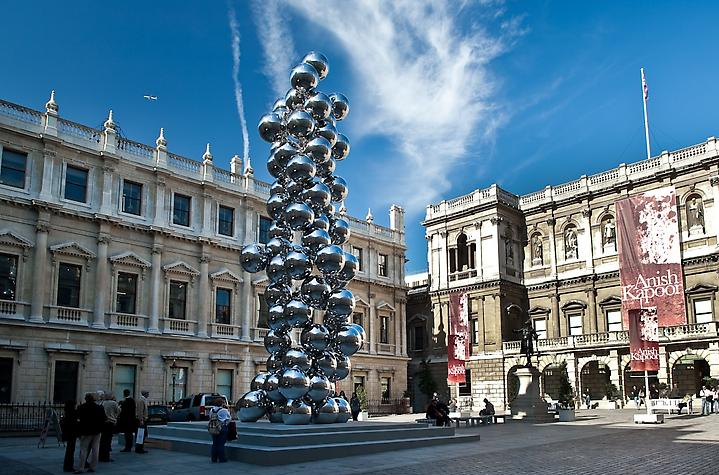 "Anish Kapoor is one of the most influential sculptors of his generation. He sees his work as being engaged with deep-rooted metaphysical polarities; presence and absence, being and non-being, place and non-place and the solid and the intangible. Throughout Kapoor's sculptures his fascination with darkness and light is apparent; the translucent quality of the resin works, the absorbent nature of the pigment, the radiant glow of alabaster and the fluid reflections of stainless steel and water. Through this interplay between form and light, Kapoor aspires to evoke sublime experiences, which address primal physical and psychological states." Over the past twenty years Anish Kapoor has exhibited extensively in London and all over the world. His solo shows have included venues such as Kunsthalle Basel, Tate Gallery and Hayward Gallery in London, Reina Sofia in Madrid, CAPC in Bordeaux and most recently Haus der Kunst in Munich. He has also participated internationally in many group shows including the Whitechapel Art Gallery, The Royal Academy and Serpentine Gallery in London, Documenta IX in Kassel, Moderna Museet in Stockholm and Jeu de Paume and Centre Georges Pompidou in Paris. 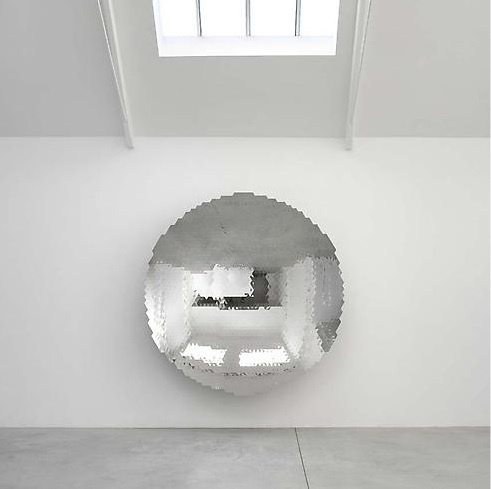 Anish Kapoor was awarded the ‘Premio Duemila’ at the Venice Biennale in 1990, the Turner Prize Award in 1991 and was awarded an Honorary Fellowship at the London Institute in 1997 and a CBE in 2003. He is represented by the Lisson Gallery, London, Barbara Gladstone Gallery, New York and Galleria Continua and Galleria Massimo Minini, Italy. 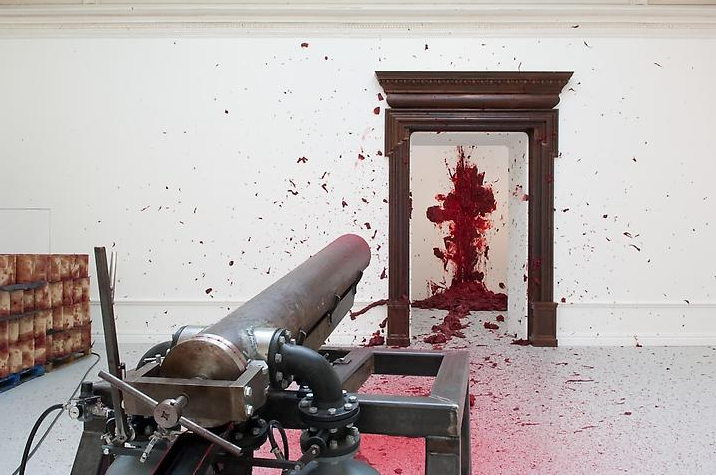 Anish Kapoor lives and works in London, UK.